Every February, Americans celebrate the beloved holiday that is Thanksgiving. So, why then did Speaker of the House Nancy Pelosi wish Americans a “Happy Thanksgiving”…on Valentine’s Day? The brain freeze to end all brain freezes? Speaking of Thanksgiving, President Trump was thankful for something that will have liberals running to their safe spaces. In other words, he’s thankful for MAGA. At the 2019 State of the Union address, Trump spoke of unity. He also happened to bring up the fact that black, Hispanic, and Asian unemployment has hit record low levels. 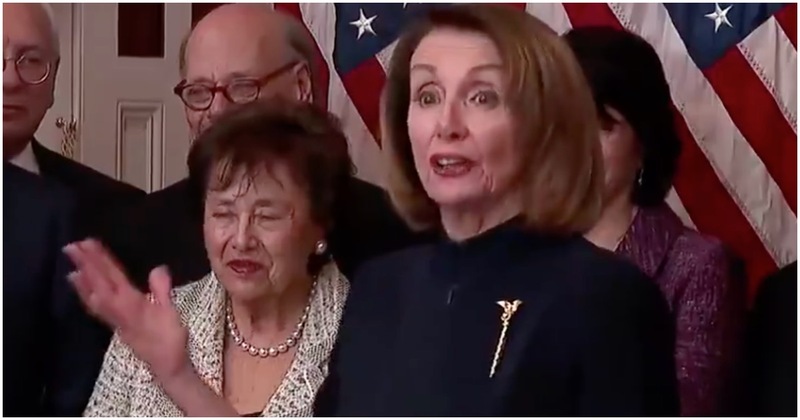 Pelosi refused to clap. She wouldn’t stand, either. Pelosi recently gave a speech before America’s mayors. She repeatedly begged them to clap after she said something she felt deserved applause.